BLUEOTTER'S WIFE HAD TREMENDOUS SUCCESS WITH DIAMAXOL! IT MADE HER FEEL GOOD AFTER EATING. BLUEOTTER SECRETLY TRIED A CHEAPER COPY, BUT SHE NOTICED IT DID NOT MAKE HER FEEL GOOD... AND SHE WAS PISSED! without at least $39.00 assistance from our listeners... even $1.00 will help! Our miscellaneous total expenses to keep Prophecykeepers online (hardware, software, ISP access, BlogTalk fees, etc. etc.) run about $150.00 monthly and financial needs not met by listeners are absorbed by the fixed income of a disabled senior. 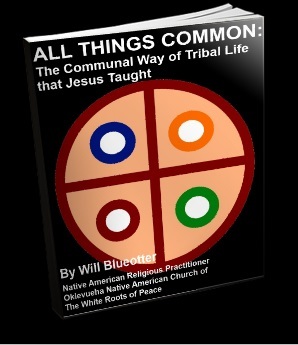 Offerings to Oklevueha Native American Church's Prophecykeepers Radio Ministry are Tax Deductible. and you will set up for automatic monthly offerings. Prophecykeepers Radio enters its tenth year of existence this spring of 2014. Without listener support, Prophecykeepers Radio will not be on the air after the 28th of the month. Since Aug 31, 2011, nearly 90,000 listeners have learned about Native American Spirituality through Prophecykeepers on BlogtalkRadio. No other daily Native American broadcast can make that claim... AND we have done it all on a shoestring budget! It only take $39.00 each month to keep us up and running TWO HOURS A NIGHT... which is MUCH better than the $50.00 a week that BBS Radio used to charge us for ONE hour a week. Full disclosure: Actual total ministry expenses run at least $150.00 to 200.00 a month, and are never met by offerings, so they are necessarily absorbed by the church trustee's single fixed income, which actually supports two persons... plus funds the nightly BlogTalkRadio podcast, Internet access, website storage fees, domain registration fees, hardware, software, etc. No salary is paid to any church member. 10th year anniversary updated edition Kindle versions now at Amazon.com... free 5 day loan... Coming soon in paperback. Prophecykeepers Radio Monday-Saturday Podcast airs at 5PM Pacific, 6PM Mountain, 7PM Central and 8PM Eastern times AND our Oklevueha Native American Church Podcast on SUNDAY nights is in the same time slot. Podcasts are always immediately archived 24/7/365 afterwards. JOIN US or better yet, let us interview you! WILL TONIGHT BE OUR LAST PROGRAM? IT IS UP TO YOU! Dr. Strange Invest0r's World-Wide News Roundup first! TALK SHOW GUESTS WANTED! Prophecykeepers has 120 minutes on BlogTalk Radio each night at 10PM Central, and if YOU would like to be our guest for a call-in talk show with Blueotter to just chat with the host about your beliefs, spiritual experiences, survival preps, talk about your relationship to your Creator, your good idea, your book, (ad infinitum ad nauseum) please let Blueotter know ASAP! Lifetime ON/off LINE access to printable 1000 page worldwide prophecy encyclopedia. There is nothing else like this collection on the planet, a wise investment conservatively priced at $25.96... satisfaction guaranteed or your money back! Read our unsolicited reviews. "PREPPERS LIBRARY" ... 3287 files in 222 folders! The Third Secret of Fatima WAS revealed... you just were not told by the Vatican. Blueotter may be reached by telephone at 931-337-7291. I offer FREE survival counseling, with a donation kindly suggested, but NOT mandatory. Want some advice? Learn some Cherokee, When America is invaded and occupied soon, you will be treated better. Your BIA card might just be considered proof that you are a traitor. Visit: When Cherokees WERE Cherokee! LEARN ABOUT THE CYCLICALLY RECURRING 1. "THREE DAYS OF DARKNESS" AND 2. REVERSAL OF EARTH'S ROTATION. Newsflash! Space.com says SO25300.5+165258, which was exposed on Wolflodge.org by Prophecykeepers Foundation in March 2003 as perfectly fitting the Hopi Red Kachina prophecy, may be a "Solar System Nemesis." 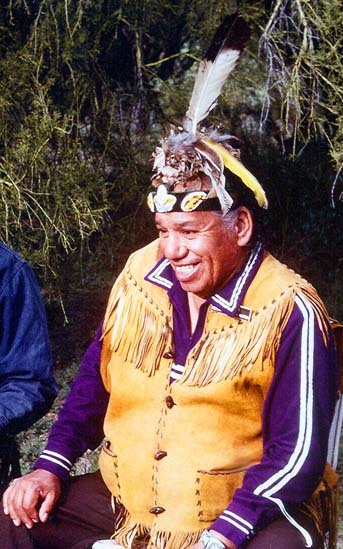 The Hopi Elders say "Know Your Garden"
IN THE PROPHECYKEEPERS TRILOGY, WE HAVE GATHERED EVIDENCE OF CYCLICALLY RECURRING "THREE DAYS OF DARKNESS" AND THE CYCLICALLY RECURRING REVERSAL OF EARTH'S ROTATION... SPOKEN OF IN THE HOLY BIBLE AND IN MANY OTHER DIFFERENT ANCIENT TEXTS! 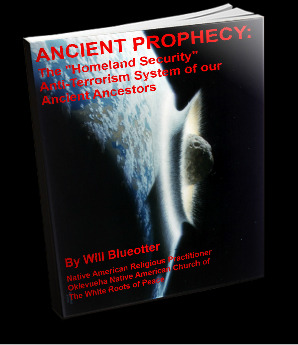 The Prophecykeepers Trilogy: Wisdom from "The brothers of the Israelites" that Moses wrote of anciently... recent DNA evidence proves that American Indians, who migrated here across the eastern ocean 17,000 years ago, intermarried anciently with seafaring Israelites.... just as our Keetoowah elders have always contended! A $24.99 PayPal investment guarantees you lifetime access to this restricted survival library! After your transaction, you will instantly be taken to the secret URL for the Prophecykeepers Foundation's online 2012 Survival Library. LEARN ABOUT THE CYCLICALLY RECURRING "THREE DAYS OF DARKNESS" AND REVERSAL OF EARTH'S ROTATION. Your gift will also help assure that Prophecykeepers Foundation's survival as long as the Internet lasts. In Marshall Master's recent video, Comet Elenin Forecast for 9/2011 to 1/2012 and the Hopi Blue Star Kachina, the case is made that this approaching object, may be the dreaded harbinger of Hopi prophecy. In this interview, Blueotter was interviewed concerning Comet Elenin... he takes no pleasure in it, but he was right -- is was NOT the Blue Star Kachina as Marshall Masters insisted... Masters later accused Blueotter of being a neo-Nazi just because Blueotter didn't agree with him... and Marshall Masters turned out to be wrong. Listen to the August 10, 2011 "Project White Paper" interview of Will Blueotter on the Inception Radio Network. I may be reached by telephone at 931-337-7291. I offer FREE survival counseling, with a donation kindly suggested, but NOT mandatory. Hear Blueotter sing "City of New Orleans 2: The Ballad of Katrina"
Listen to the August 10, 2011 "Project White Paper" interview of Will Blueotter on the Inception Radio Network. He explains how the prophecies of the Hopi, Mayans, Cherokee, Lakota, Mormons, Catholics, Jews and others intertwine with regards to 2012. The sum total of the entire picture yields a much less mysterious picture than one might think of what is about to happen in 2012. "A KATRINA FROM OUTER SPACE"
"COULD THROW US BACK 100 YEARS" Dr. Michio Kaku Ph.D.
You've perhaps read all the B.S. The real news doesn't "sell" very well! It's not what you want to hear. A member of the 550+ member Native Prophecy Council just pointed that my friend John Hogue, one of the world's foremost authorities on the subject of Prophecy, recently pointed out that major flooding is looming. ...but do you REALLY get what prophets are saying? Frankly, I kinda doubt it, based on past sad experience. I have (some time ago and with no response from them) pointed all the following out to Art Bell, George Noory, Mitch Battros, et al, all to no avail, and as far as I am concerned THEY are part of the problem... certainly no different that the populace was in Noah's time... they are just down on what they were not up on. 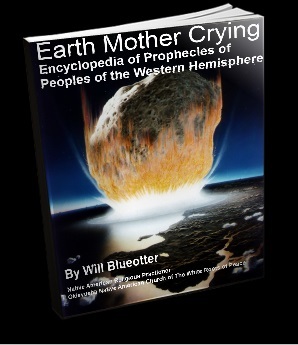 Most all of the people who are "making hay" nowadays selling books about the Mayan Prophecy should be ashamed. I know this is harsh, but I view some of them as just short of prostitutes, and some may be obfuscating this issue purposely. Why? Because it would not SELL. Or worse... some of them just might be government disinformation operatives. Who the heck knows. I wouldn't be surprised, because we know from history that Governments learned to use prophecy long ago as yet another avenue to control the masses. Now that I have beat up on them, I'll give them all virtual hugs, and kudos on a job well done in what they have done. It's a tough call all the way around. The Hopi Prophecy says that Hopi will be flooded up near the tops of their mesas and they would need boats to move to Four Corners to start a new tribe and religion. As far as Mayan predictions go, according to The Mayan Elders I have interviewed, the 2012 date may vary 15 years either way. A picture of the last page of the actual Dresden Codex (from the 1880 Förstermann edition) suggests to some that the world will end in a flood. Jesus statement that in the Last Days it will be as it was "in the Days of Noah." Remember, Noah warned people of The Deluge, but NO ONE listened. Pope John Paul II's Statement revealing the Third Prophecy of Fatima, was recorded in Stimme des Glaubens magazine in 1981. He stated: "Given the seriousness of the contents, my predecessors in the Petrine office diplomatically preferred to postpone publication so as not to encourage the world power of Communism to make certain moves. "On the other hand, it should be sufficient for all Christians to know this: if there is a message in which it is written that the oceans will flood whole areas of the earth, and that from one moment to the next millions of people will perish, truly the publication of such a message is no longer something to be so much desired." Archbishop Ratzinger (Now Pope Benedict) agreed with Pope John Paul II at that time. Like the Hopi, their mystics predict a certain "star" to be the cause. I "saw" this flooding in night vision back in 1991, and so did (also in 1991) by a well known Texas Cherokee elder who wishes to remain nameless. He and I didn't realize coincidence this until we exchanged notes during the winter of 2009-10 when I was at his home in East Texas. The consensus between us was that the people had some time ago stopped listening to the elders, and don't deserve to know the truth. Here's and interesting anecdote: A Cherokee descendant, Sha Ha Win, daughter of John Rolling Thunder Pope, about 7 years ago, saw in vision the flooding in Tennessee, and told the bishop/pastor of her (L.D.S.) Mormon Church about her vision. Bear in mind that it is L.D.S. Doctrine that Native American Prophets would be sent to their church IF it ever erred. She was later examined by 36 Mormon General Authorities including Gordon B. Hinckley, and was promptly ignored. Interestingly enough that during her "inquisition" with the arrogant Mormon Authorities they DID draw a correlation between her prophecy and her (unbeknownst-to-her-at-that-time) father Rolling Thunder's and Mad Bear Anderson's 1972 Prophecy of the Future Flooding of Utah - which is curiously featured in a newly released US Navy map of a flooded America. I reiterate that Sha Ha Win (see http://www.myspace.com/shahawin) did NOT know she was Rolling Thunder's daughter at that time. She later moved to a tiny town 7000' in southern New Mexico. Granted, THIS coming worldwide flooding (also bravely noted by Patrick Geryl on his website at http://www.HowToSurvive2012.com/) will not be as extensive as Noah's, thanks to God's promise in The Book of Genesis that He would never again destroy ALL life on earth by flood, but bear in mind that He reserved the right (The Book of Exodus) to use flooding to reign in errant nations. The Mayans say the extent of the flooding will depend on how negative the people of earth have become. According to the Hopi elders, you will need to be in "the mountains and forest" so plan on getting up above about 6000' of elevation to escape this one. I suggest the Hopi/Navajo sacred area, between the Four Sacred Mountains in the Four Corners area of the American Southwest. The San Luis Valley would be a PRIME survival area, as would Flagstaff and Williams, AZ. 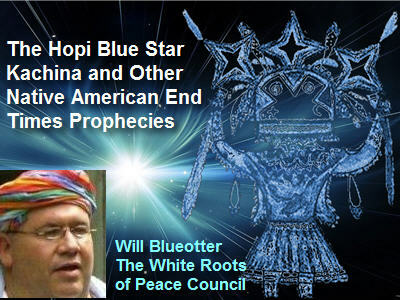 For more info, see Hopi Prophecy Fulfilled on Robert Ghost Wolf's website, which features an article about my discovery of the true nature (according to criteria set forth by the Hopi Elders in 1996) of the Red Star and Blue Star Kachinas... a discovery that took place back in 2003, but has been totally ignored by "The Media". Enter renowned physicist Dr. Michio Kaku, some say the "successor to Albert Einstein"
In 1859, the Carrington Event solar fares knocked out the telegraph systems in the U.S.A. and in Europe. Telegraph systems worldwide went haywire. Spark discharges shocked telegraph operators and set the telegraph paper on fire. Even when telegraphers disconnected the batteries powering the lines, aurora-induced electric currents in the wires still allowed messages to be transmitted. During a solar superstorm most communication will be blasted out of existence; power will fail. Cities will be left without light and water and food will run out. Civil unrest will surge as society collapses in a matter of days. The US federal and state governments will be hard-pressed to restore order amongst 300 million people as mass starvation sets in and sources of fresh water dwindle. Restoration of the infrastructure could take years—even a decade or more. Electrical transformers on poles would be burned out, and since they are no longer manufactured inn the USA, would need to be be imported from China. During the interim more than a billion people could die worldwide—more if warfare breaks out between countries desperate for scarce resources. NASA has forecasted super solar storms for 2012 and is sounding the alarm it could knock out the Earth’s entire electrical grid and kill 1 billion people in its aftermath with food riots and civil unrest, and wars fought over resources. If proper precautions aren’t taken it could lead to nuclear meltdowns around the entire world. Dr. Michio Kaku now warns of a huge solar flare as a "Katrina From Outer Space" that could destroy all electronics systems (right down to your kitchen toaster!) on Earth in our near 2012 -- our electrical and communications grids and space satellites -- and that this would turn back the U.S. over 100 years. Kaku sees the disaster as 10 times greater than Katrina-perhaps even worse than that. “We’d be thrown 100 years into the past,” he explained. The transition to the 1800s would occur as quickly as flipping a light switch off. The Holy Bible concurs, predicting that at some point our the sun will burn 7 times hotter in The Last Days. The Hopi warned long ago before the electrical grid was even dreamed of that after the white man arrived (they knew he was coming), one would simply be able to "touch the wall" and that room would light up. They warned not to become dependent on that system once it arrived, because it would eventually fail. We see now that the infrastructure is aging because proper care wasn't taken so a few men could get richer. Bridges are beginning to fail. For many years "planned obsolescence" has been a part of the manufacturing process so consumers, like junkies, would need to buy more and more down the road. What can you do? BUY LOW Tech things! Study how the Amish live. For example, get cookware that can be used on a campfire. Get a wood stove. Learn how to do laundry in a 5 gallon bucket with a toilet plunger. Build a clothesline for drying laundry -- maybe get a hand crank laundry wringer. Get a simple solar+battery inverter system. THINK! 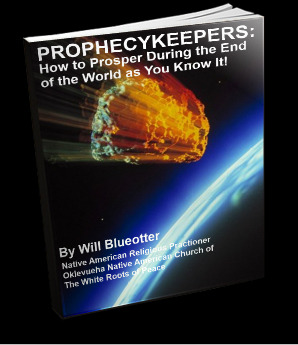 There are lots of things you can do to prepare -- IF you will only do so... but most younger people need the proper information and guidance... and that's what Prophecykeepers is here for - to recommend the best books and other information you need to prepare, because chances are you WILL survive. It's YOUR choice as to how comfortable you will be when Babylon falls. General Patton once said "It doesn't take any intelligence to be uncomfortable." INEXPENSIVE POTASSIUM IODIDE STILL AVAILABLE ON eBAY... don't buy Iosat pills at ripoff prices.... just buy the raw chemical, and make Lugol's Solution...100 grams is 4 ounces, enough for 800 adult doses. Learn to build a cheap fallout meter here. Prophecykeepers Foundation is a 501(c)3 Public charity, and we need your support. Please donate now (tax deductible). Please patronize our sponsors. The Hopi believe the Creator of Man is a woman. The Sumerians believed the Creator of Man was a woman. The Hopi believe the Father Creator is KA. The Sumerians believed the Father Essence was KA. The Hopi believe Taiowa, the Sun God, is the Creator of the Earth. The Sumerians believe TA.EA was the Creator. The Hopi believe two brothers had guardianship of the Earth. The Sumerians believed two brothers had dominion over the Earth. The Hopi believe Alo to be spiritual guides. The Sumerians believed AL.U to be beings of Heaven. The Hopi believe Kachinas (Kat'sinas) are the spirits of nature and the messengers and teachers sent by the Great Spirit. The Sumerians believed KAT.SI.NA were righteous ones sent of God. The Hopi believe Eototo is the Father of Katsinas. The Sumerians believed EA.TA was the Father of all beings. The Hopi believe Chakwaina is the Chief of Warriors. The Sumerians believed TAK.AN.U was the Heavenly Destroyer. The Hopi believe Nan-ga-Sohu is the Chasing Star Katsina. The Sumerians believed NIN.GIR.SU to be the Master of Starships. The Hopi believe Akush to be the Dawn Katsina. The Sumerians believed AK.U to be Beings of light. The Hopi believe Danik to be Guardians in the Clouds. The Sumerians believed DAK.AN to be Sky Warriors. The Hopi believe Sotunangu is a Sky Katsina. The Sumerians believed TAK.AN.IKU were Sky Warriors. The Hopi name for the Pleaides is ChooChookam. The Sumerians believed SHU. SHU.KHEM were the supreme Stars. The Hopi believe Tapuat is the name of Earth. The Sumerians believed Tiamat was the name of Earth. The Hopi call a snake Chu'a. The Sumerians called a snake SHU. The Hopi word for "dead" is Mokee. The Sumerians used KI. MAH to mean "dead." The Hopi use Omiq to mean above, up. The Sumerians used AM.IK to mean looking to Heaven. The Hopi believe Tuawta is One Who Sees Magic. The Sumerians believed TUAT.U was One from the Other World. The Hopi believe Pahana was the Lost Brother who would one day return to assist the Hopi and humankind. The Sumerians would recognize PA.HA.NA as an Ancestor from heaven who would return.